The two Michigan women lost in the wilderness for almost 2 weeks survived on Girl Scout cookies and cheese puffs, police say. Leslie Roy, 52, and her sister Lee Marie Wright, 56, were on vacation in a remote part of Michigan when they became stranded by heavy snow on April 11. According to police, the two women rationed food and gas as they tried to stay warm in their SUV. "They survived on eight boxes of girl scout cookies, a bag of cheese puffs," Detective Sgt. Jeff Marker of the Michigan State Police told ABC News. When the two women didn't arrive in Kalamazoo to join their family a few days later, the search for them began. "We were unable to find out what location they were at and we started looking at phone records, bank records," Marker said. After combing the woods for days, searchers spotted the women's SUV from a helicopter on Friday. "It really is truly a miracle that they were found," he said. 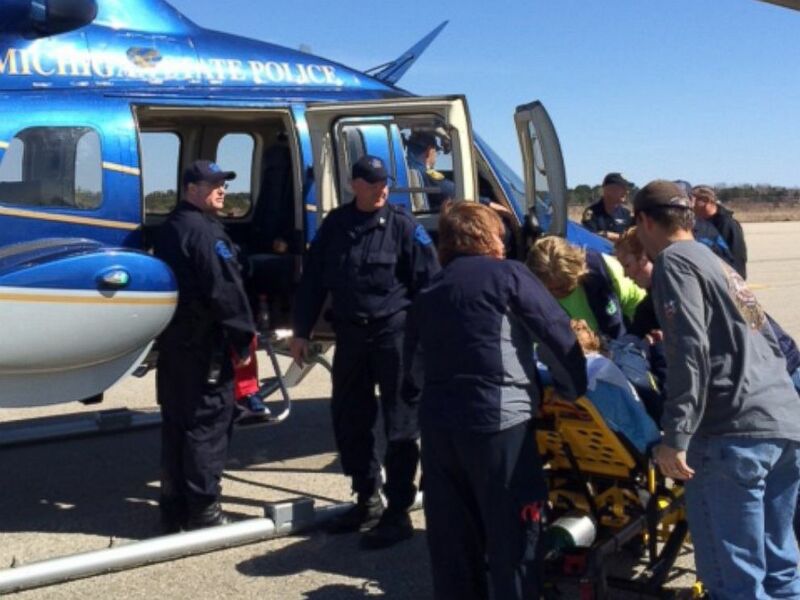 Two Michigan women, missing for almost two weeks, are found and airlifted to safety on Friday, April 24, 2015. "We thank God for the safe return of my mom Lee Wright and my aunt Leslie Roy," Wright's son told ABC News in a statement. "My mom said that they thank God and give Him the glory for a safe return."